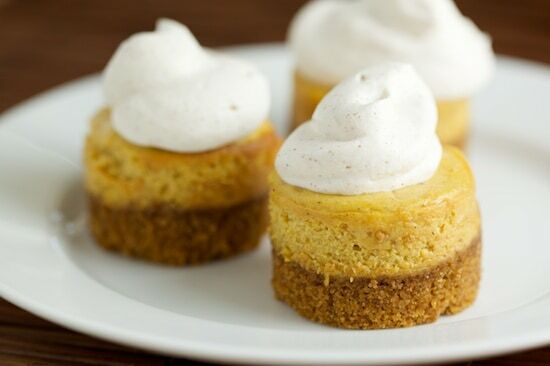 Mini Pumpkin Cheesecakes topped with Cinnamon Whipped Cream – Mini cheesecakes are fast and easy to make, look impressive on a serving platter, and are way easier to serve than a traditional cheesecake (no worries about cutting perfect slices here). You do need a specialized pan for these, but it’s something you’ll use again and again. 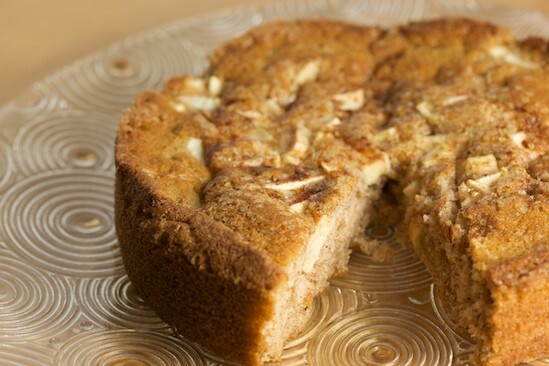 Apple Cinnamon Buttermilk Cake – Turn this simple and delicious Fall cake into a Thanksgiving-worthy dessert by adding a drizzle of salted caramel sauce and real whipped cream. Caramel Apple Pear Cake – This fruit-filled cake recipe comes from Zoe Bakes and is beautiful enough to grace even the most elegant of Thanksgiving tables. 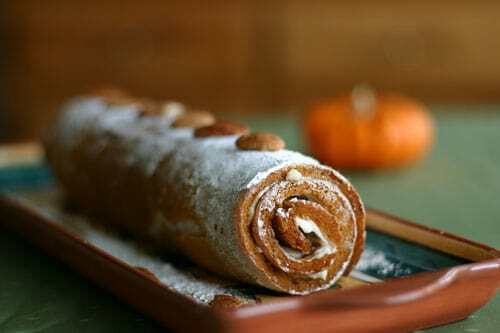 Pumpkin Roll – A pumpkin sponge cake rolled up with sweetened cream cheese is Thanksgiving’s version of a Christmas Yule Log Cake or Buche de Noel. It’s fun to make, beautiful when sliced, and SO delicious! This is best when made a day ahead and refrigerated overnight. 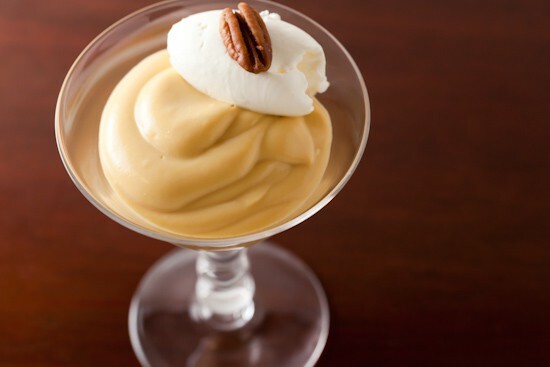 Butternut Squash Pudding – This rich and creamy butterscotch-flavored pudding has a secret Fall ingredient that adds a wonderful depth of flavor, but I guarantee your guests won’t be able to guess that it’s butternut squash. Trust me, it’s delicious. 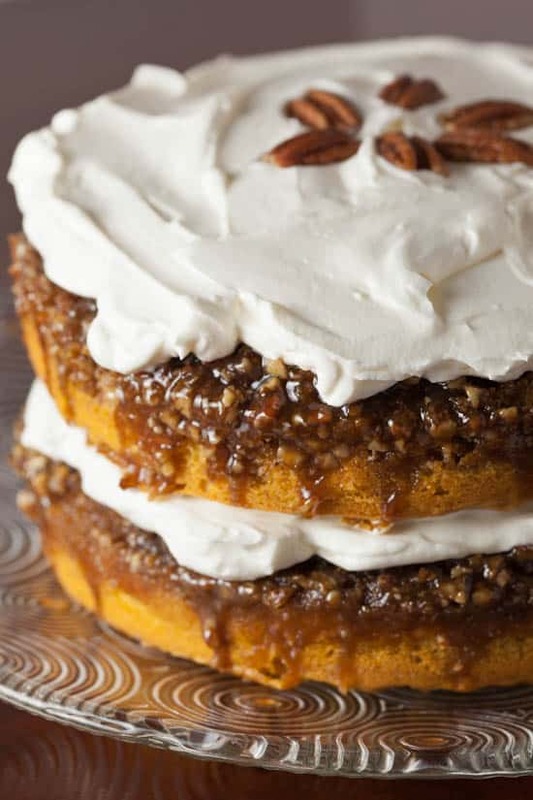 Praline Pumpkin Cake with Whipped Cream Cheese Frosting – This semi-homemade, ooey gooey, showstopper of a cake is easier to make than you might think. It starts with a box of yellow cake mix but ends with homemade whipped cream cheese frosting that is only spread on top of the layers for a beautiful, foolproof decorating job that is supposed to look slightly messy. 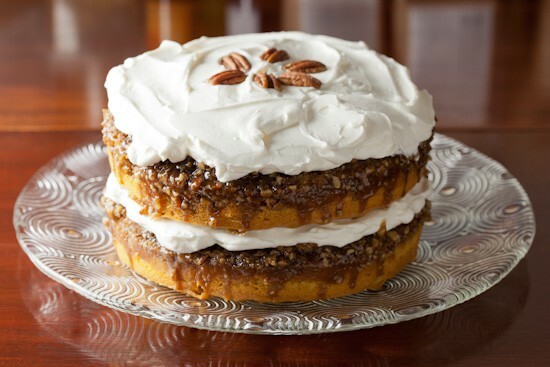 So tell me, what desserts will be on your Thanksgiving or Thanksgivukkah table this year? Pie only? Pie plus options? No pie? No dessert?? We’ll be having pumpkin, apple, and lemon pies for sure and I think a few surprise pies/desserts might show up as well. Just remember, you can never have too much pie dessert on Thanksgiving! I always feel the need for classic pumpkin and apple pie at thanksgiving, but at the same time I love trying new things! Pumpkin rolls are always one of my favorite, can't get enough! Love your round up! 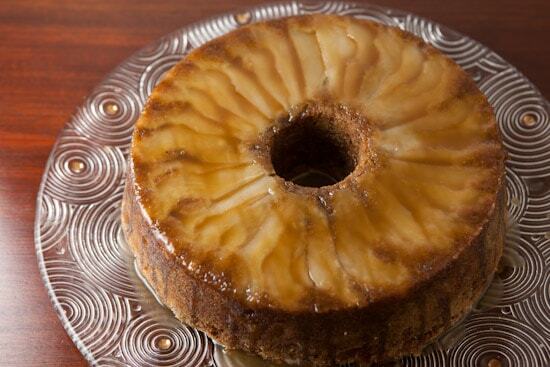 The caramel apple pear cake and the pudding both sound wonderful! 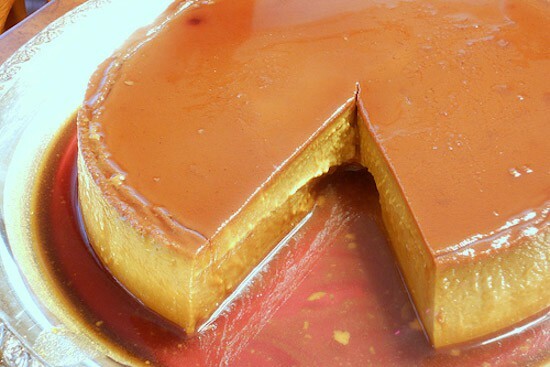 Thanks so much for including my flan in your round-up! =) Hope you and your family have a wonderful Thanksgiving! Lovely desserts. Each looks so good! 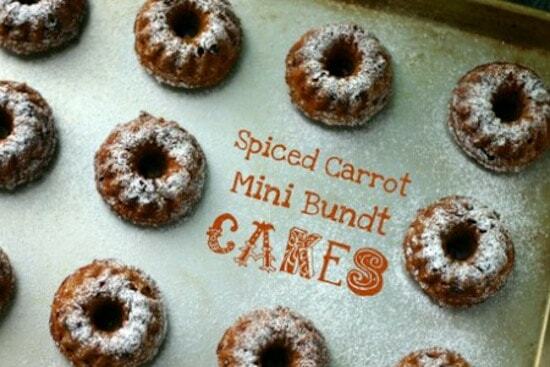 Thanks for including my mini bundt cakes Nicole! 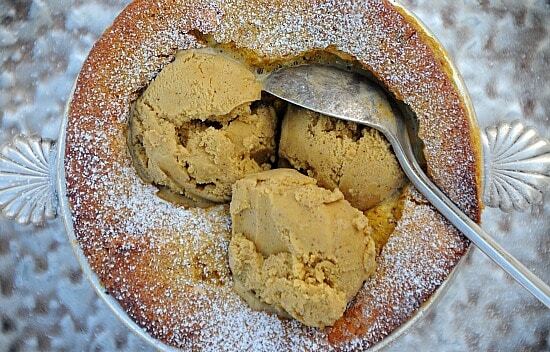 Believe it or not, we still haven't decided on our Thanksgiving dessert. I do have 3 or 4 sugar pie pumpkins in the garage so I think pumpkin will make an appearance in some for or another! happy thanksgiving! I wish I would have seen this before Thanksgiving, I was trying to come up with some sort of creative pie alternative. We ended up going with pumpkin cheesecake, but the pumpkin roll might have gone over better! The pumpkin roll looks amazing and super easy to serve up- yum! 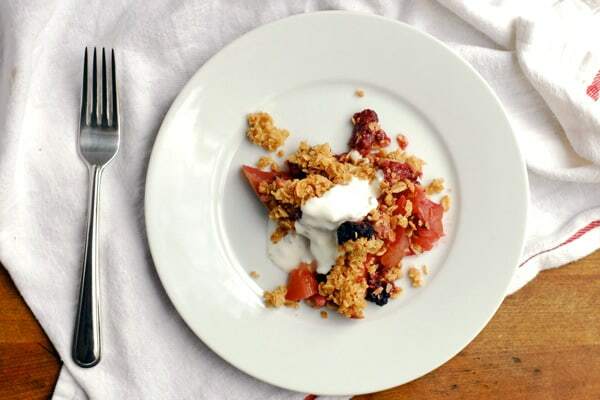 Hi, I really love this recipe!! This looks delicious! but pictures are great too- what are you taking them with? This is amazing. The butternut squash is my favorite. 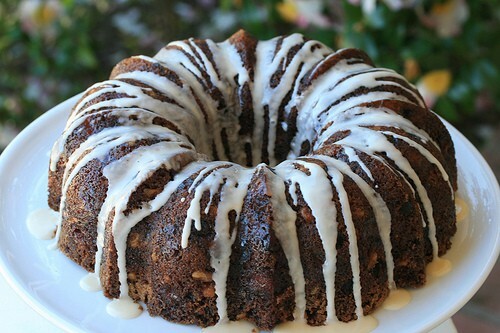 That caramel apple pear cake looks absolutely decadent! Not sure I'm qualified to bake something that beautiful.